What Oscar Condenders Have You Seen? Tonight is the Academy Awards. I’m a movie lover and try to see as many of the nominated movies as I can so I have a reason to watch the show and root for my favourites. 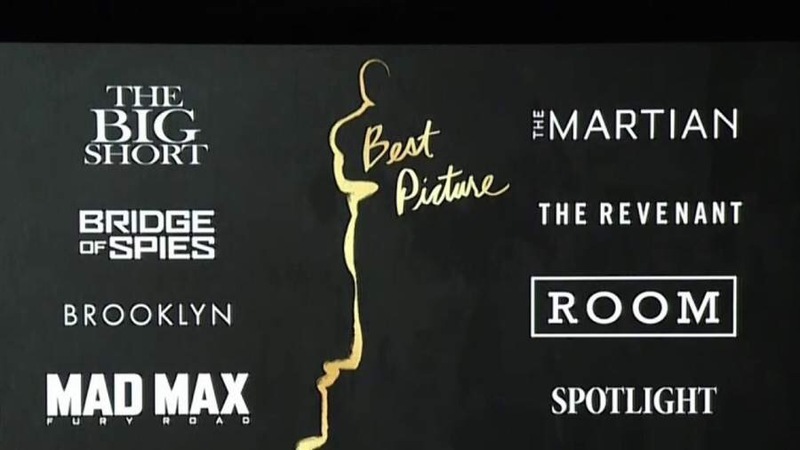 This year I’ve seen four of movies up for best picture. I saw “The Big Short” yesterday, “Brooklyn” a couple of weeks ago, “Room” and “Spotlight”over the holidays, All were wonderful! I also saw “Joy” and Jennifer Lawrence is nominated in the Best Actress category. I’m sorry I missed seeing “Carol”. Cate Blanchett is such a great actress. 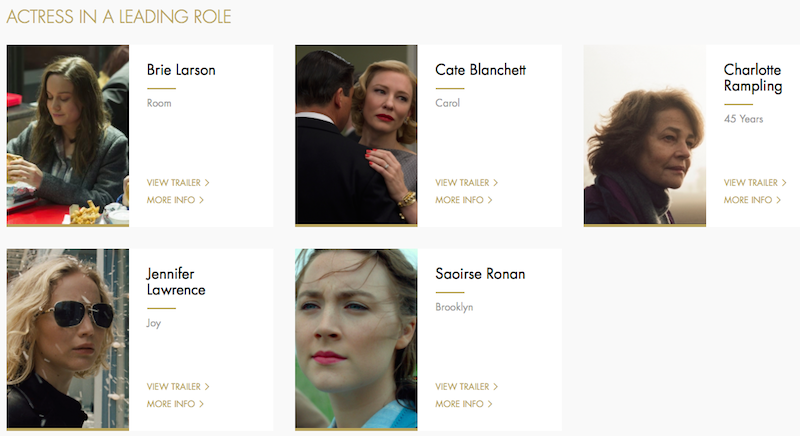 I have not seen any of the movies where the Best Actor is nominated. I’m sorry I missed “The Danish Girl” with Eddie Redmayne. He was excellent as Steven Hawking in “The Theory of Everything” last year. Christian Bale is nominated for Best Supporting Actor in “The Big Short” but he seemed like a Lead Actor. He had a big part. 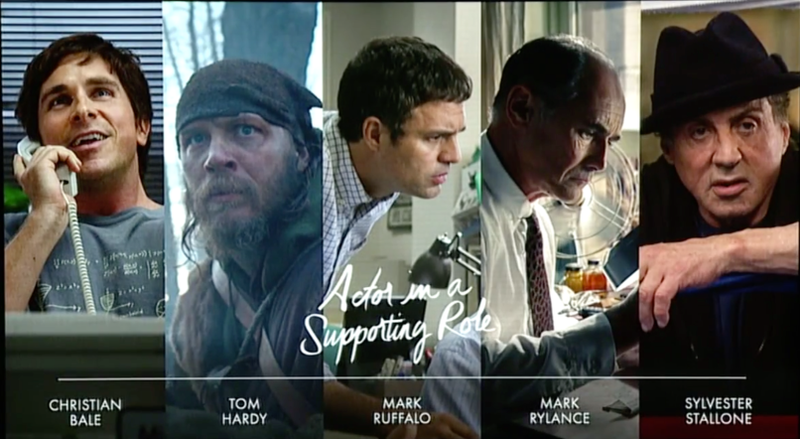 I feel the same way about Mark Ruffalo in “Spotlight”. I would have named him as a Leading Actor. 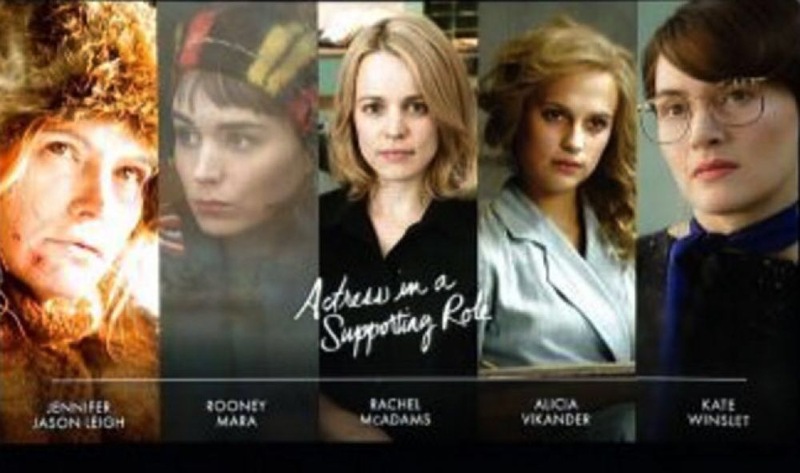 Rachel McAdam is nominated in a supporting role for “Spotlight”. The movie had an ensamble cast so she and Mark Ruffalo were not nominated in best actor or actress categories, even though it seemed they were. What movies have you seen? Will you watch the awards tonight? Save for animated movies, I’ve not seen many movies last year. I usually wait until after the Oscars then watch some of the nominated movies. 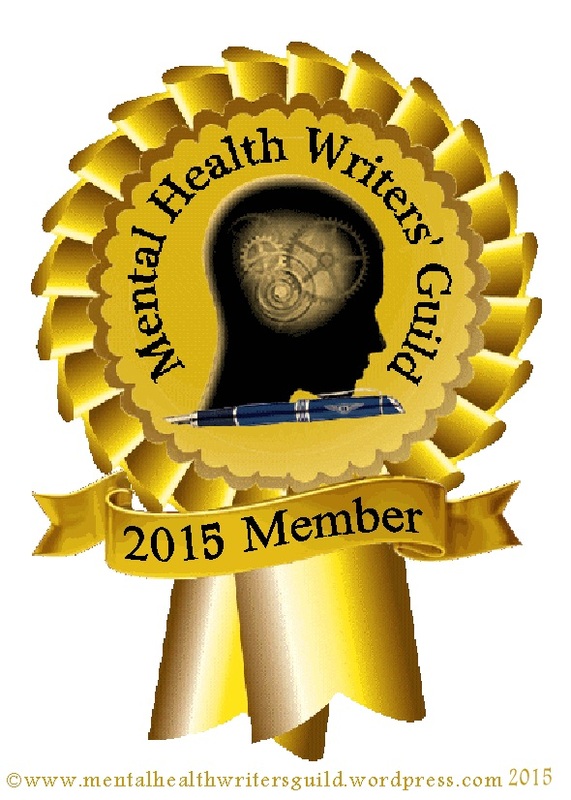 I forgot to mention it saw “Inside Out”. Will you watch the show tonight or wait to hear who won? I usually try and watch some of it. My kids always get in the way of me watching the entire show. Or I end up falling asleep lol! I’ll likely take a nap too…. I’ll be watching. The only movie I haven’t seen of the best pictures is the Revenant. I wish I saw Danish Girl before the awards too because I really like Eddie Redmayne. I have to wonder if they will give it to Leonardo but is he really deserving. Guess I will have to find out the results tonight. 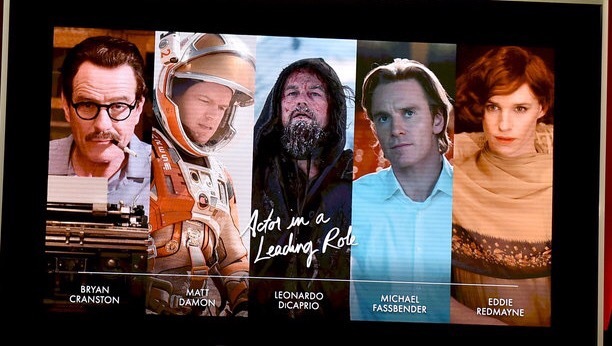 If Leonardo does win I will judge for myself by watching those two movies at some point. I’ll watch them too on Netflix when they come on. Leo is a great actor and he always gets overlooked.